Why is your garden important? Of course there is no single answer, there are as many reasons as there are people with gardens, but that our environment is becoming increasingly important to us is with out question. The space we own outside our doors is the buffer from the real world and it is our own small part of that environment. It is the part we can enjoy every time we go out the door to work or the place we unwind in when we get back. If you look at a footprint of the land you own, the house often only takes up half the space and more often a lot less. What a waste of so much space you have if you are not drawn out into your garden. By putting up fencing you can create privacy, Pergolas create an excellent structure for plants and vines and a beautiful water feature can add that little something extra to peace and wellness. The garden should be an extension of you and your house, a part of it, somewhere you go to relax, that inspires you to be in it rather than just look at it. Somewhere that engages the senses and somewhere above all that is interesting. Your garden should also be an extension of you. Your likes and needs must be reflected in it, how you want to use it and how you want it to work for you are unique. No two gardens are ever exactly the same. The house, the client and the site must inspire the design. 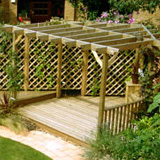 Even in small spaces, a nice feature can be to put some decking in the corner of the garden with a pergola maybe over the top and some nice garden fencing around it to give you that extra bit of privacy from the neighbours. Small gardens must work hard for us to be of value and have to do many things at the same time. We want privacy but don’t want to feel boxed in. We want interest and change but don’t want to spend every spare moment trying to achieve that without chance to relax in the garden. Low maintenance is often an aim but it must change with the seasons, nobody wants a static display. So what inspires you, what do you want from your garden? Colour and flowers? Architectural evergreens? Or perhaps you prefer organic curves to contemporary lines and angles? Maybe you would like a sunny spot to sit in with your morning coffee, or perhaps you crave a cool seat in the shade on a sunny afternoon? A place to grow a few veggies and a place to listen to the trickle of water over stones or it can be a place to see the reflection of the sky in a still pond. Somewhere for the children, somewhere to entertain friends and family maybe or just somewhere to be relaxed after a day at work? 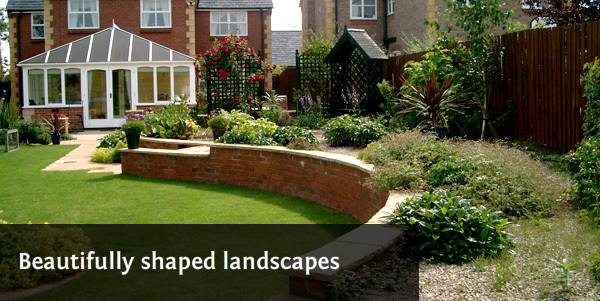 It’s your garden and we can be your garden designer. 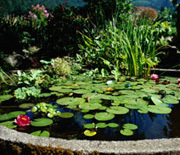 Water is an excellent source of relaxation and garden water features are amongst the most appealing aspects of any garden. 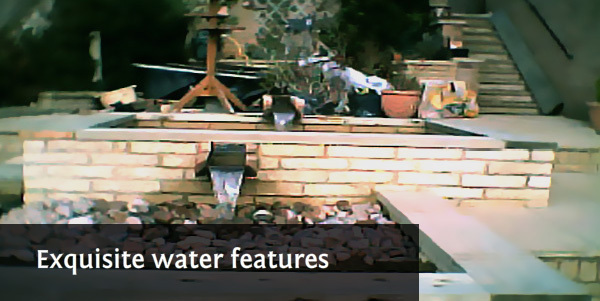 We do all different styles and can construct any kind of water feature that you could possibly think of. 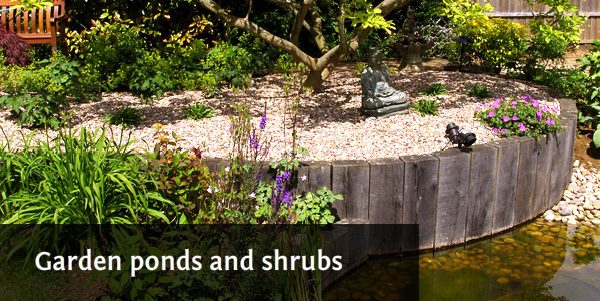 Our garden designer will travel to the following areas: Northampton and surrounding areas, such as Market Harborough and Wellingborough.